Oce VarioPrint 6000 TITAN Series of monochrome digital presses delivers segment-defining black and white printing excellence. 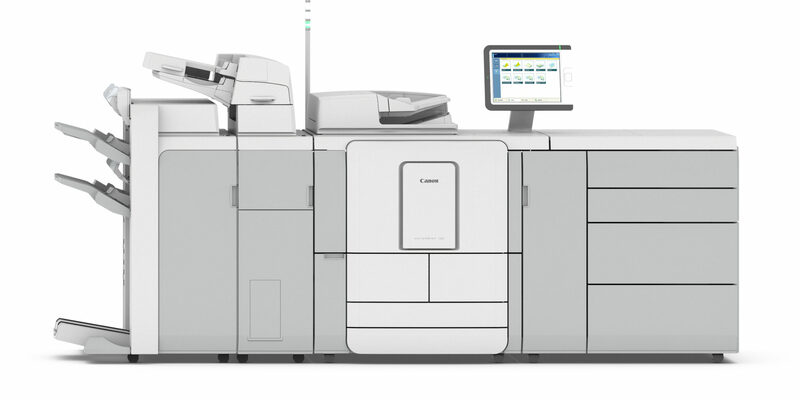 With impressive print quality, this high-volume monochrome digital printing press blends innovation and robust engineering, to deliver a solution that’s second to none. 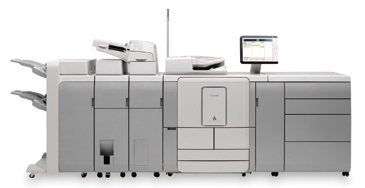 The varioPRINT 140/130/115 Series raises the bar on quality, dependability and efficiency. Built on proven technology and market driven extensions, these machines deliver productivity, ease of use and versatility. Innovative DirectPress Technology, a highly stable technology, prints consistently high-quality images on a wide range media and produces zero ozone. Imagine a new, highly stable technology that always delivers consistent, quality images. A truly digital technology that doesn’t require high temperatures and electrical charges. A high-speed production technology that produces ZERO Ozone. 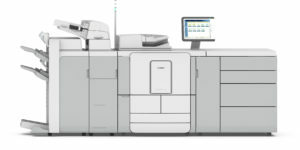 Also known as the OCE’ VarioPrint DP line, these models are based on the OCE’ Direct Press technology, a new, exceptional image technology that removes many variables that negatively effect consistent image quality, allowing you to maximize up-time, performance, and cut cost.